Asphalt parking lots should be sealed at least once every couple years. 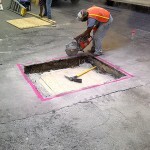 Sealing asphalt parking lots are not projects for every property owner or manager. 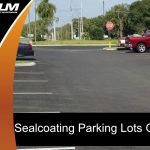 This is a specialized project that requires the expertise of those familiar with the methods and details of sealing asphalt parking lots of varying sizes, ages, etc. 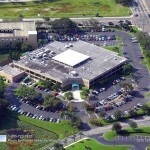 If sealing is not performed in a careful and strategic manner, it won’t protect your property for as long as it should. 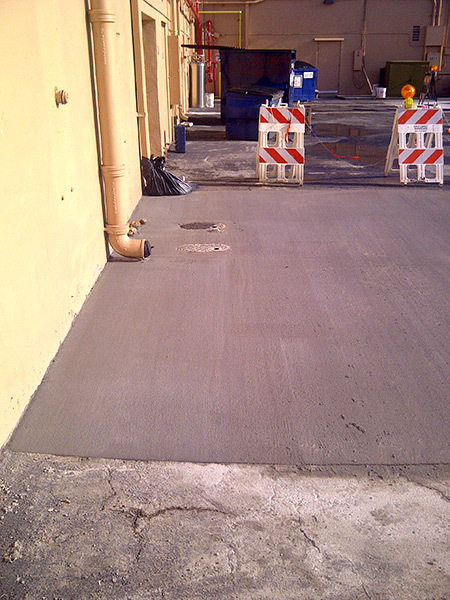 Here’s a quick look at how asphalt should be seal coated. 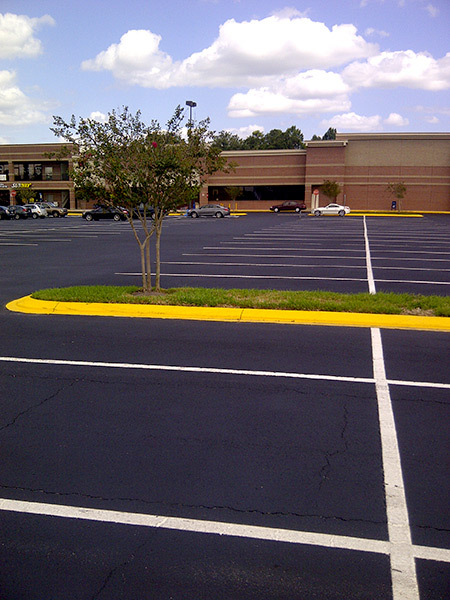 Sealcoating asphalt parking lots will likely prove ineffective if the surface is significantly compromised. If your lot has oil stains, potholes, cracks or other types of damage, they must be repaired prior to sealing asphalt parking lots. Get those minor jobs out of the way in the days ahead of the sealing. 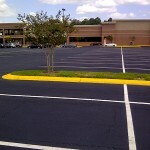 Sealing asphalt parking lots is contingent on the surface being clean. From brushes to brooms, power washes and beyond, all sorts of items can be used to clean off the entirety of the surface and guarantee the sealcoat bonds to perfection. 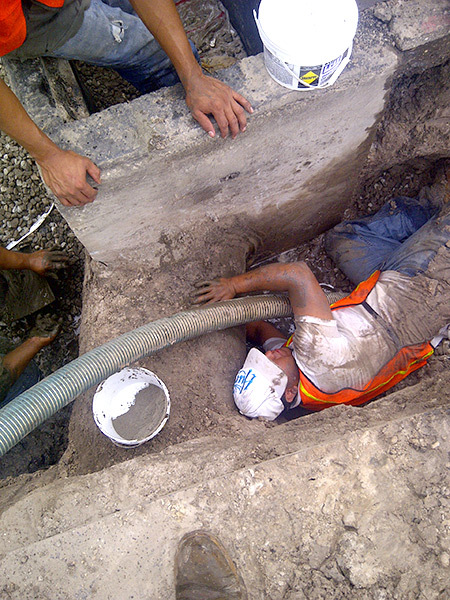 Furthermore, if you plan on repairing damaged spaces, make sure they are thoroughly cleaned before any work begins. If your lot has potholes or cracks, they must be filled with the proper aggregate mix. 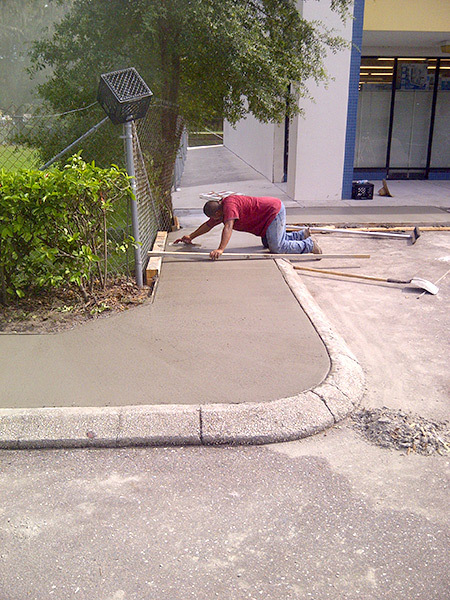 This mix guarantees the asphalt pavement surface holds its integrity as long as possible. 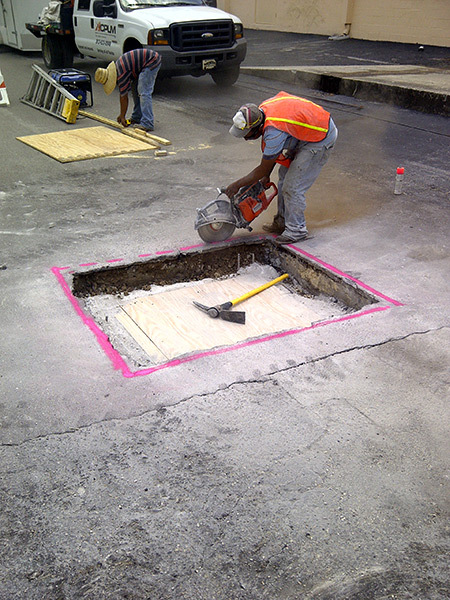 Pothole repairs should be completed before sealcoating so the surface looks and functions as it should. 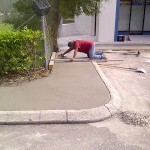 Gasoline or oil stains should be removed from the asphalt prior to the sealcoating. Otherwise, the sealcoat will not adhere to automobile pollutants. 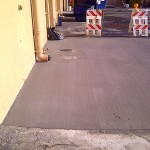 If an especially pesky stain just won’t lift out of the pavement, apply a primer agent. 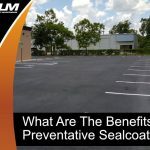 Similar to a wall primer, a primer agent for your parking lot will ensure the sealcoat sticks directly to the surface of the asphalt as intended. Sealcoat applications will likely prove ineffective unless the temperature of the pavement is a minimum of 50 degrees Fahrenheit. 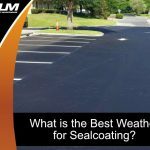 Ideally, the temperature of the air will be 50 degrees and increasing as the Sealcoat is applied. 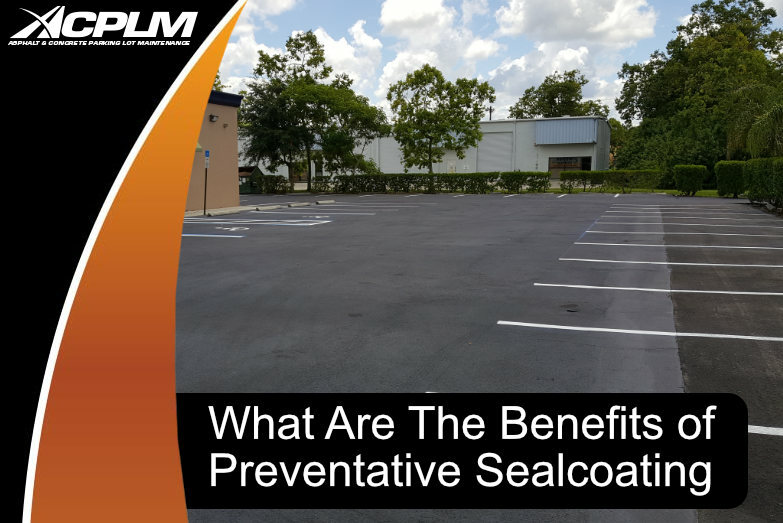 If the weather is too cool when the sealcoat is applied, it will prove weak and ultimately protect the lot for a shorter period of time. 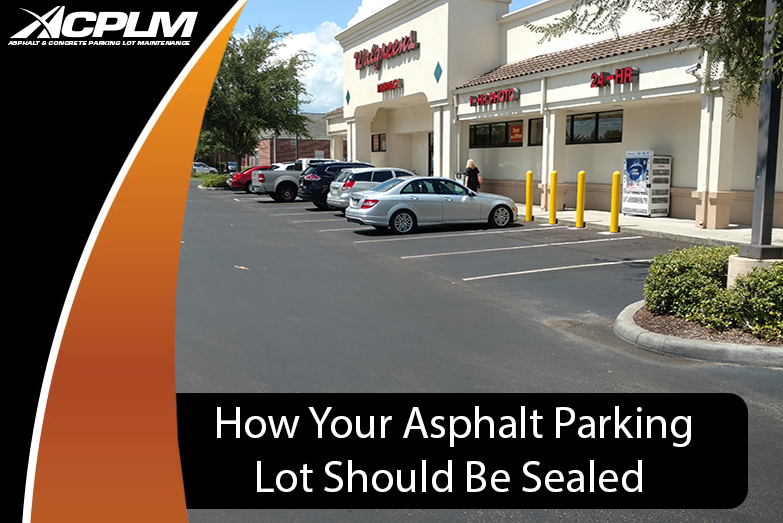 When it comes to sealing asphalt parking lots, no one does it better than ACPLM. 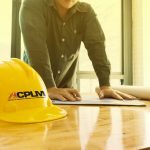 We have a combined 50 years of experience in the industry and are committed to providing the highest-quality customer service to each client we work with. 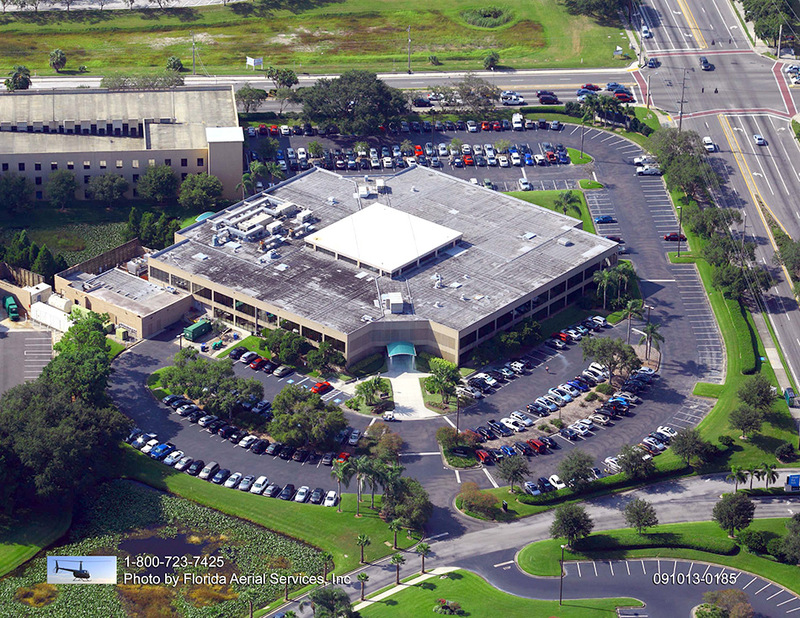 Give us a call at 888-959-9637 to learn more about our services.